Our client engaged us to create an elevated and unique food + beverage experience for their pre-Super Bowl themed event at their office. Their office is stunning with clean lines, beautiful bay views, and upscale furnishings. The goal was to create an atmosphere that would encourage all team members to interact and enjoy the festivities surrounding the football season in an elegant fashion. 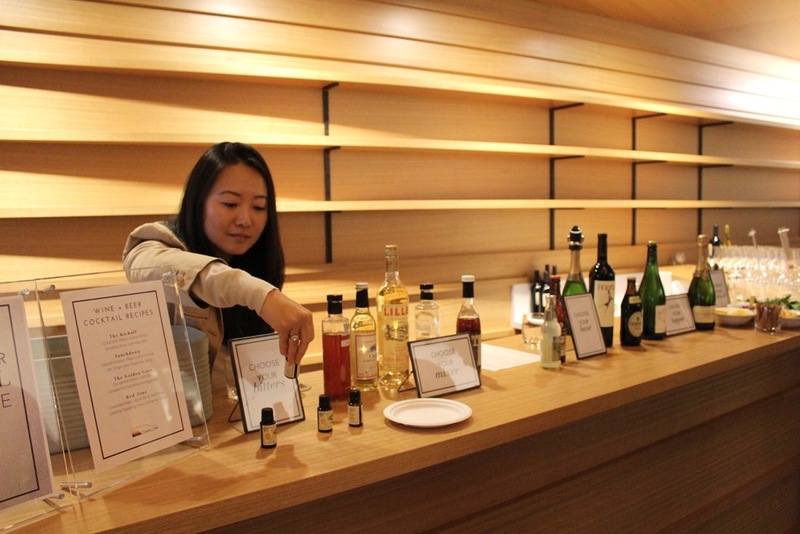 We introduced our signature Build Your Own Wine Cocktail Experience and incorporated non-wine ingredients such as beer, shrubs from INNA, and Lillet Blanc to add diversity to the flavor profiles and to accommodate guests whose first choice isn't wine. 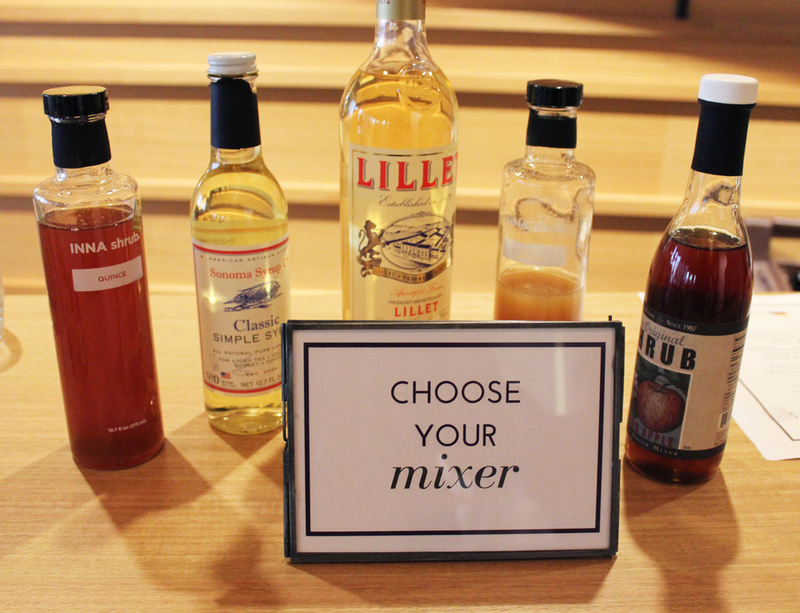 To tie in the Super Bowl theme, we featured the following cocktails. For the culinary experience, we engaged one of our preferred vendors, Estate Events by Meadowood, to create high-end, football-themed appetizers to be served. The menu included Foie Gras "hot dogs", Kobe beef sliders, Heirloom Root Vegetable Chili, Spiced Duck Wings, and Truffled Fries. The unique and thematic food + beverage experience provided a bit of whimsy which created conversation starters and added to the engagement factor at the event. 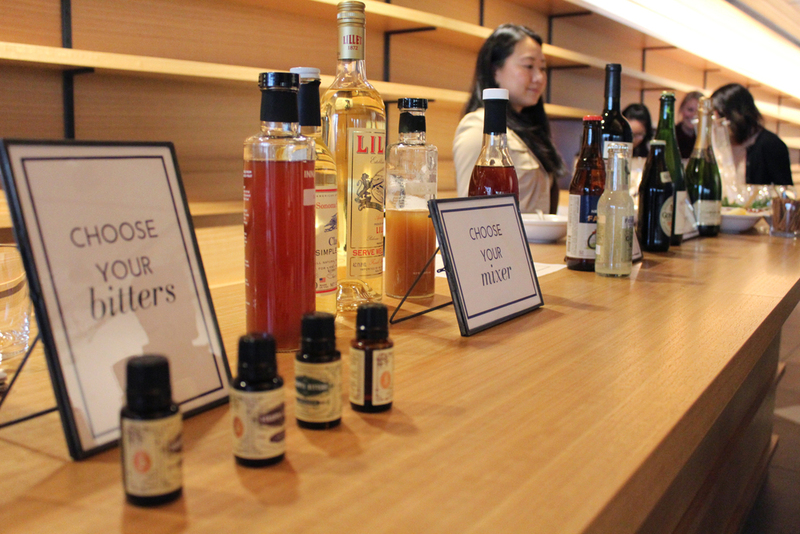 The team members shared different cocktail creation ideas and were excited to take their learnings home. The food and service were extremely well received. It was a successful event that left the guests feeling extra special. 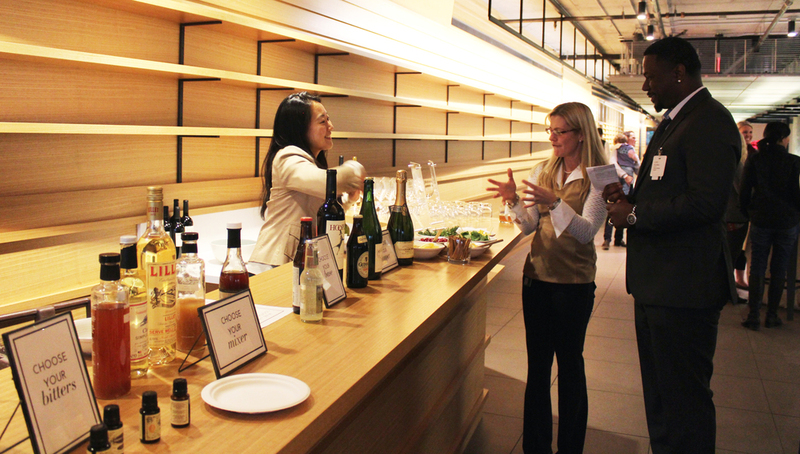 Contact chloe@domainesomm.com to enhance your next event with one of our Interactive Wine Experiences!